Riyadh (AFP) - Saudi tycoon Prince Alwaleed bin Talal on Wednesday promised his entire $32 billion (28.8 billion euro) fortune to charitable projects in coming years, in one of the biggest ever such pledges. The pledge is "maybe... the first such big announcement" of its kind in the region, and is modelled on a charity established by Microsoft founder Bill Gates in the United States, the prince told reporters. Alwaleed said his charity "will help build bridges to foster cultural understanding, develop communities, empower women, enable youth, provide vital disaster relief and create a more tolerant and accepting world." The money "will be allocated according to a well-devised plan throughout the coming years", he said, but stressed there was no time limit for the donation to be spent. Alwaleed said he would head a board of trustees tasked with spending the funds, which would still be used after his death "for humanitarian projects and initiatives". The 60-year-old magnate belongs to the Saudi royal family and is a nephew of king Abdullah, who died on January 23. In the conservative Muslim kingdom, Alwaleed, who holds no government rank, is unusual for his high profile and periodic comments about economic issues. "We are clearly in very close coordination with the Bill and Melinda Gates Foundation", which is already working with Alwaleed on a polio eradication project, he said. 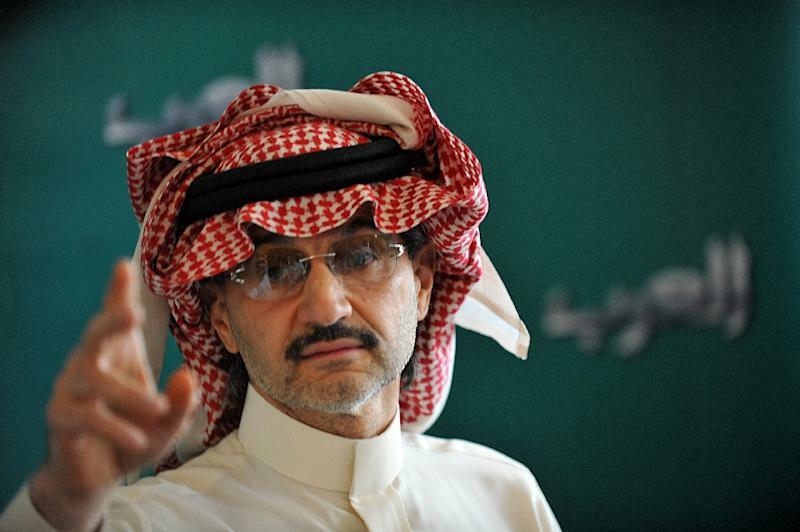 "This is very much separate from my ownership in Kingdom Holding," and there should be no impact on the publicly listed company's share price, Alwaleed told reporters on the 66th-floor headquarters of the firm which he chairs. But he said his charitable commitment would provide even more incentive for his business investments to be profitable. As well as media stakes, Kingdom Holding has interests ranging from the Euro Disney theme park to Four Seasons hotels and Citigroup. Alwaleed is constructing a tower in the Red Sea city of Jeddah that is to rise more than one kilometre (almost 3,300 feet) to be the world's tallest building. Earlier this year, he opened a pan-Arab news channel in Bahrain but authorities there shut the station after less than 24 hours on air and a new home is being sought. Alwaleed last week in Paris signed a letter of intent with France's CDC International Capital to create the first French-Saudi investment fund, worth up to $400 million. A separate deal saw a French consortium and CDC IC invest about $150 million in Kingdom Holding. Alwaleed told reporters he has already donated a total of $3.5 billion over more than 35 years through his Alwaleed Philanthropies. The charity has distributed houses and provided electricity to isolated Saudi communities, while supporting other projects around the world. He said he announced his pledge now, after years of preparation, to institutionalise the process "so they can continue after my lifetime". Flanked by his son Prince Khaled and daughter Princess Reem, he said they will be president and vice-president of the charity after he dies. "I believe that a person should take dramatic and drastic decisions at his peak," Alwaleed said, proclaiming himself to be in good shape. "I'm very healthy, enough to bike every day three hours," he said. "I assure you my health is good."